Pallet wood boxes can’t be a waste in any way because there are a number of ways to use them. Pallet boxes can be recycled at home for lots of benefits because you can use in the balcony to keep plants or in one corner of the garden to store tools. It can be converted into practical book storage, bookcase or you can use to remodel and fix the chair, bookcases, tables and beds. 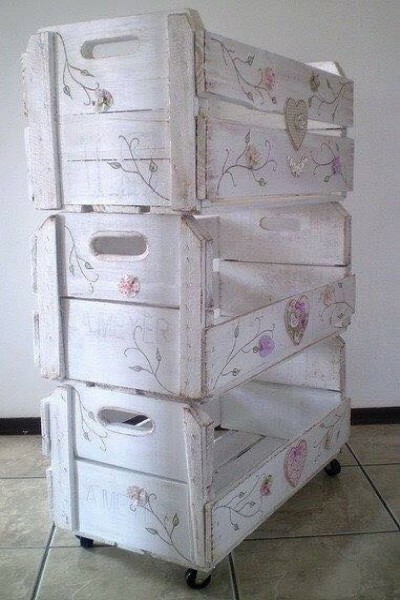 These can be converted into a shoe rack or you can design a planter. There are a number of ways to use these boxes, but you should use them in the pantry to store fruits and vegetables. You can combine different boxes to make a trolly like a box and fix wheels under its four corners. 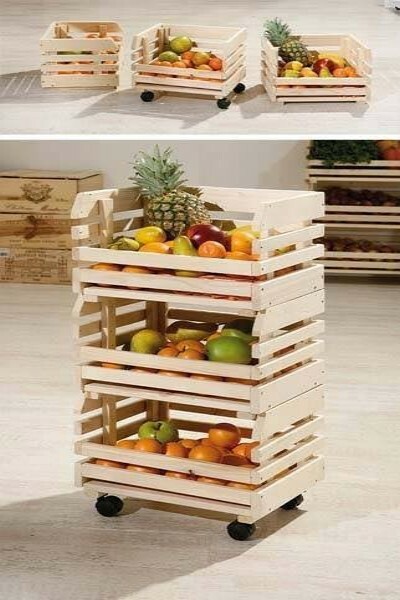 It will be a great choice to keep different fruits in all three compartments. It is easy to move because you can transfer it from one place to another. You can also design a trolley with single compartment by putting wheels under it. 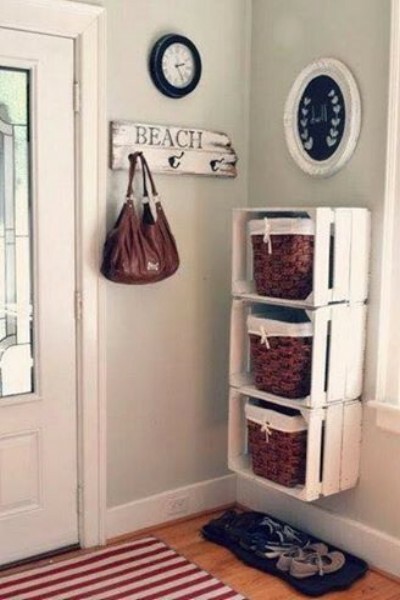 There is another use to fix the pallet boxes on walls and then store your accessories in each box. You can follow the pattern given below in the picture. 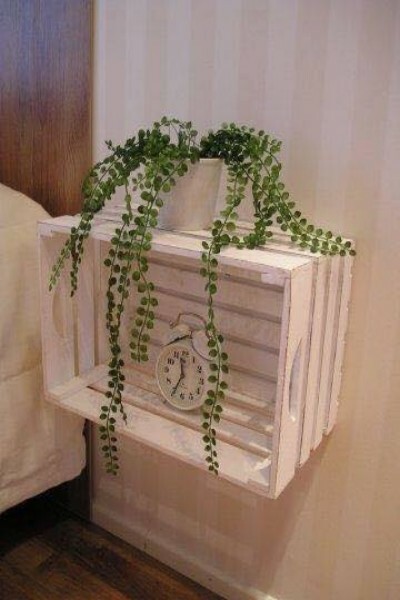 If you want to give a unique and creative touch to your house, you can fix the box along with your bed as a side table to keep your alarm clock and other items. You need to sand pallet boxes to get a smooth surface. Paint this surface to give a unique touch and then fix wheels under its four corners for easy mobility. It will give you maximum storage and you may be able to give a unique touch to your room decor with it.